The future of SoftLayer is bright. And it’s Bluemix. 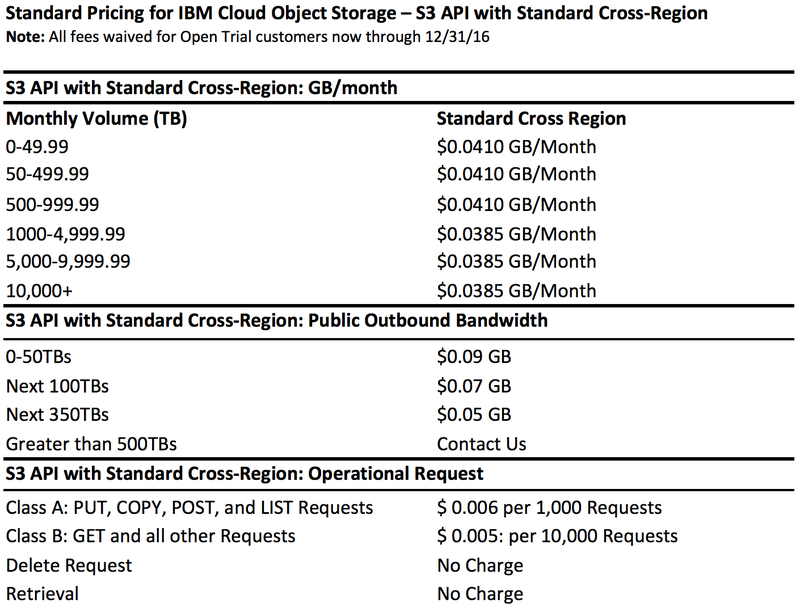 We’re pleased to announce that our new Public Cloud Object Storage Standard Cross-Regional service is now available. Get started today with our Open Trial program and we’ll waive fees through December 31, 2016. Store and access your data with our resilient Standard Cross-Region Service for the U.S. geographic region. Get started today with our trial program, with fees waived through December 31, 2016. The service is open to all worldwide customers. 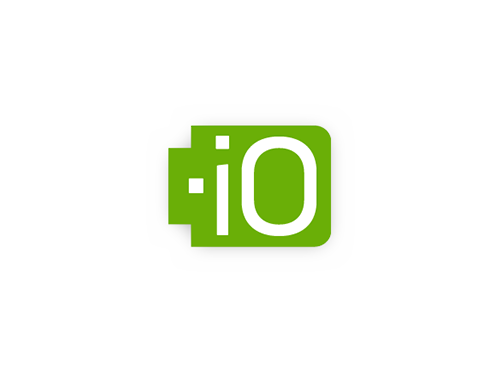 Today’s announcement of the Open Trial service gives customers the opportunity to harness the power of our new object storage technology without incurring any fees between the time of signup through December 31, 2016. Take a look at our S3 API Open Trial documentation. The service is ideal for storing active data that requires frequent access and geographic resiliency with data durability across three regional data centers. Your data is available through multiple endpoints across three geographic regions, helping ensure business continuity for use cases such as active content repositories, analytics, big data, and mission-critical data applications. Data can be accessed via our public and private network to meet your application needs. Your data is safe, with built-in security for data at rest with our innovative SecureSlice technology that combines encryption, erasure coding, and data dispersal. The service offers simplified capacity pricing with no separate fees for regional data centers within the cross-region zone. 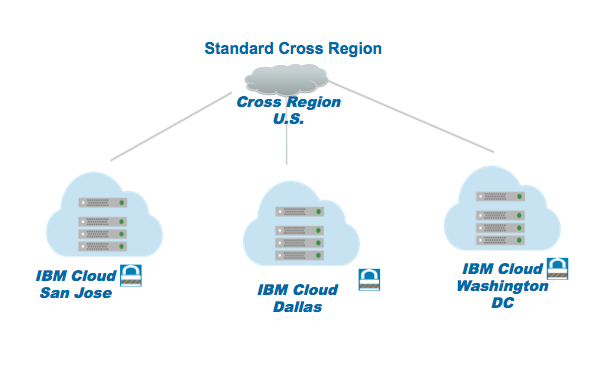 There are no separate charges for data replication across regions within a cross-region zone. Start with our Open Trial service and we will waive fees through December 31, 2016.